Make your vehicle your work bench with a multipurpose hitch stand and wall mount by calling DD Custom Industries in Orangevale, California. Gain valuable area and much-needed stability with our new, patent-pending design that makes great sense for working on the go. 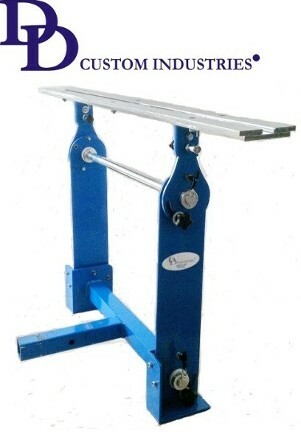 Take advantage of the latest in mobile work bench advancement with our portable hitch stand from Sacramento County, CA. It’s engineered to help you work off the back of your truck and be totally mobile, and even acts as the perfect tailgate or bed extender. 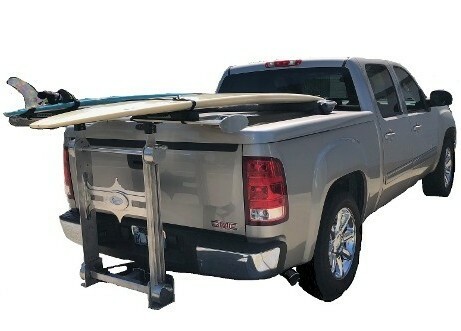 Our wall plate accessory allows you to take the hitch stand out of the back of the Trailer receiver of your truck and hook it on either the wall or your work trailer, effectively allowing you to work off it as a fully-stable work bench. Made in America of durable, lightweight aluminum, the unit’s extrusion is five feet wide and hooks up to the hitch stand. The additional excursion is 4 feet wide and hooks to the wall plate for tool storage. Overall, our wall mount is 36” wide and bolts to the studs in your garage or a work trailer. The four-foot plate on the top bolts to the wall stand unit so you can attach your chop saw using our special clamping system, also various equipment such a drill press, a sheet metal break, or other device to it securely. The plates come in a variety of different sizes with mounting clips. Because our system is so new and revolutionary, we’ve been able to create a unique multipurpose chop saw stand with telescoping legs that lets you utilize your Kreg™ vise grips and your Kreg jigs. 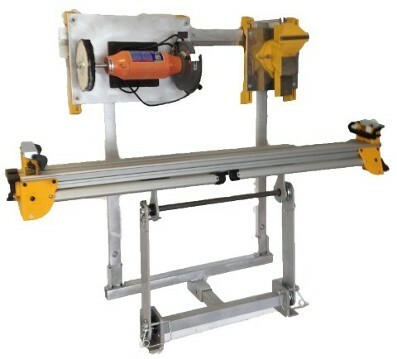 However, you can still use your existing tools with our stand, too. Contact DD Custom Industries in Orangevale, California, for the most versatile portable workstation available.